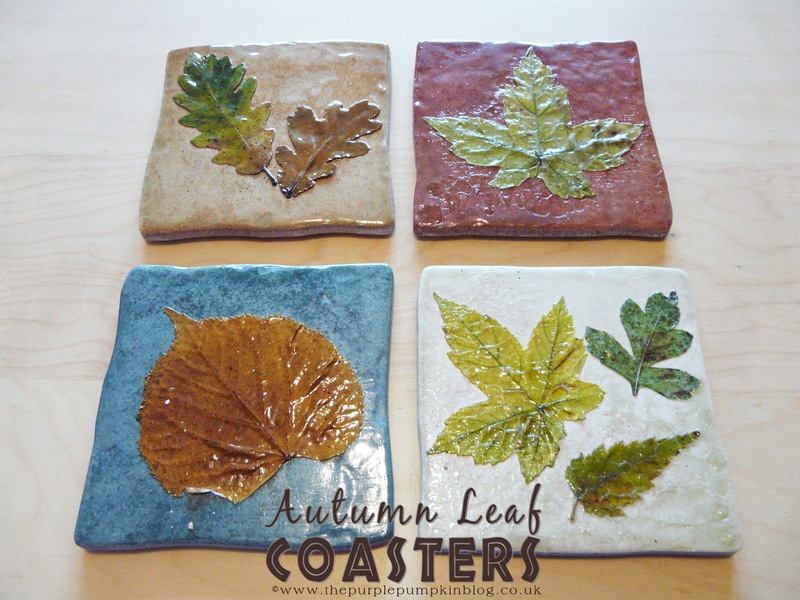 A few weeks ago I made these Autumn Leaf Coasters to use during the season…they turned out lovely, and are now more of a decorative item than actually used to hold glasses! 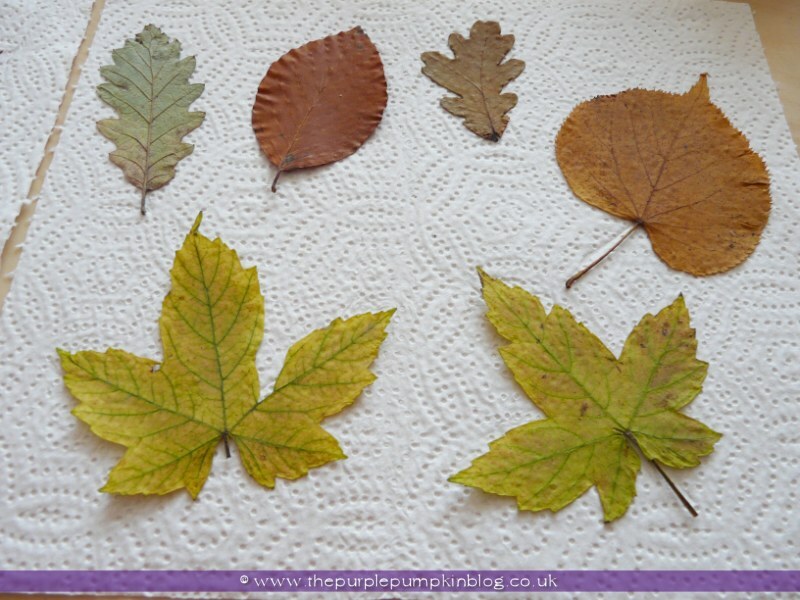 I started out by picking some fallen autumn leaves…I picked dry ones so that they wouldn’t go all mushy on me. I then placed them between two sheets of kitchen paper and pressed them flat inside of a heavy book, with more heavy books place on top. 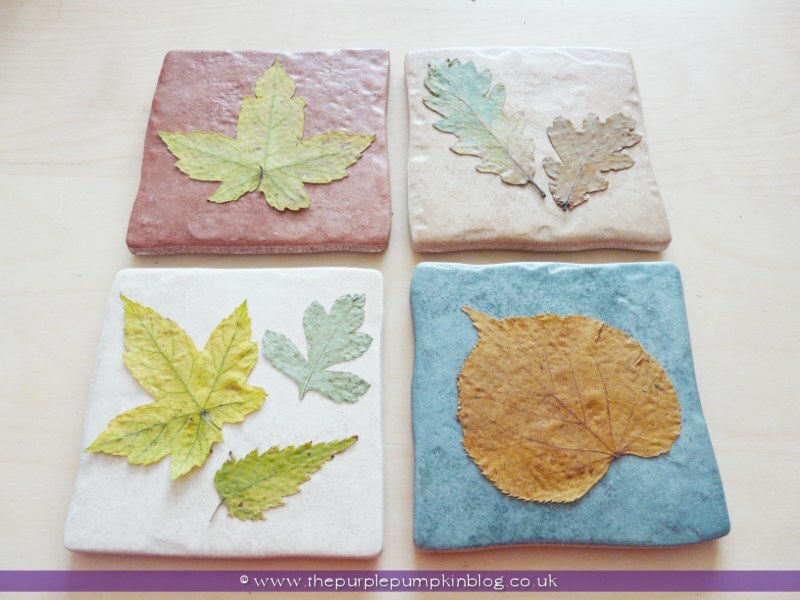 I saw these gorgeous ceramic tiles in the DIY store that really leant themselves well to the autumnal theme of my coasters – they weren’t very expensive, maybe a pound each. 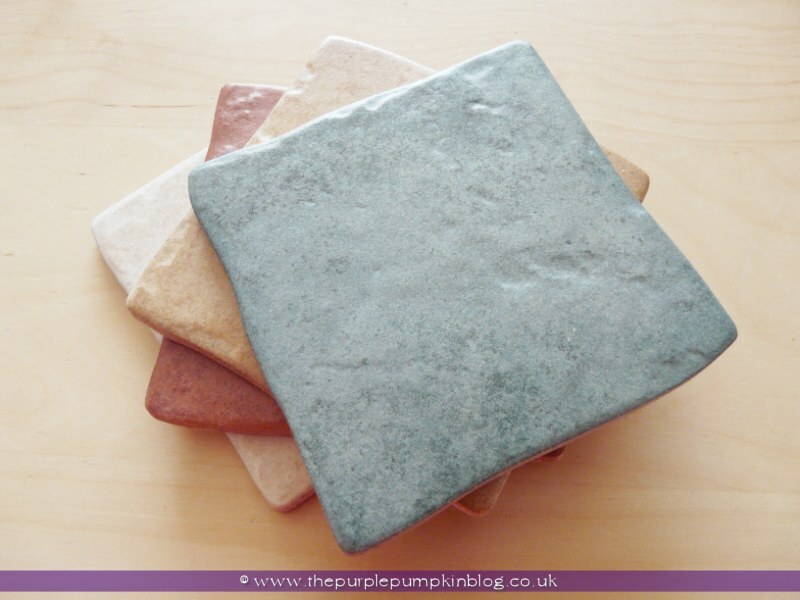 I bought some felt pads from the poundshop and used them to raise my tiles up a bit and also give them anti-slip support. So I stuck one in each corner on the back of the tile. I then played about with some designs using the various leaves I found, and when happy with it all, I stuck each leaf down using PVA glue – I didn’t quite go to the edges on each leaf, and I really should have – so make sure you cover the back of each leaf thoroughly with glue so that it sticks down on all sides. 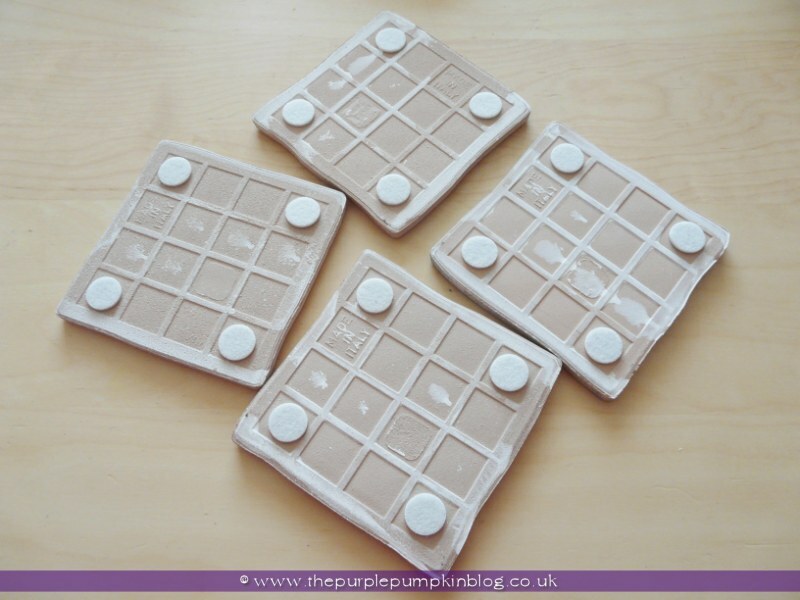 When dried, I used a sponge brush to slather on some clear varnish – I gave my coasters two coats. My varnish required 24 hours between coats – so check the tin that yours comes in. 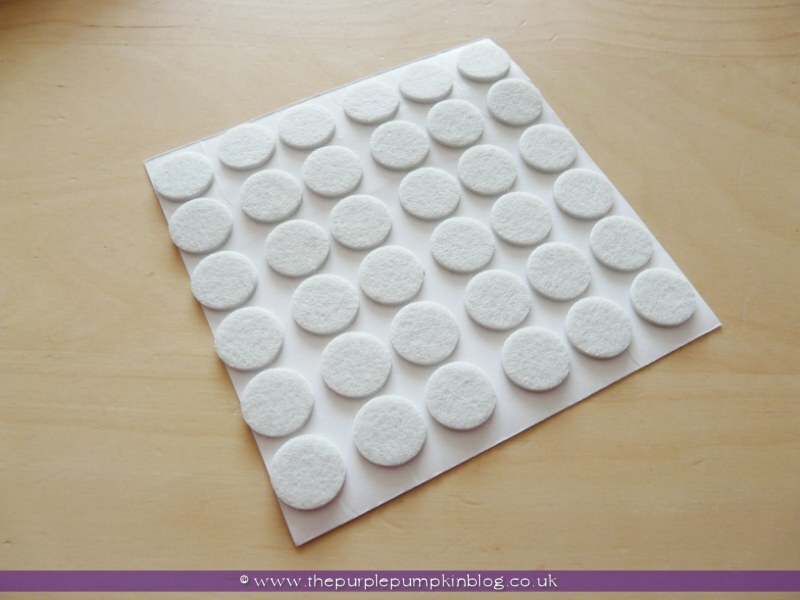 I think they are very pretty – there are a few things I would do differently – and that is making sure that there is plenty of glue on the back of the leaves so that they stick down completely – even placing something heavy on top to ensure that they dry flat. I then tried to fix it by putting glue under, after varnishing, and kinda messed up – you can see that in the top right coaster where the varnish looks a bit suspect! On the whole though, for a first try at this, they turned out cool – not sure how long they’ll last, but they look great out on my coffee table! Such a wonderful project! 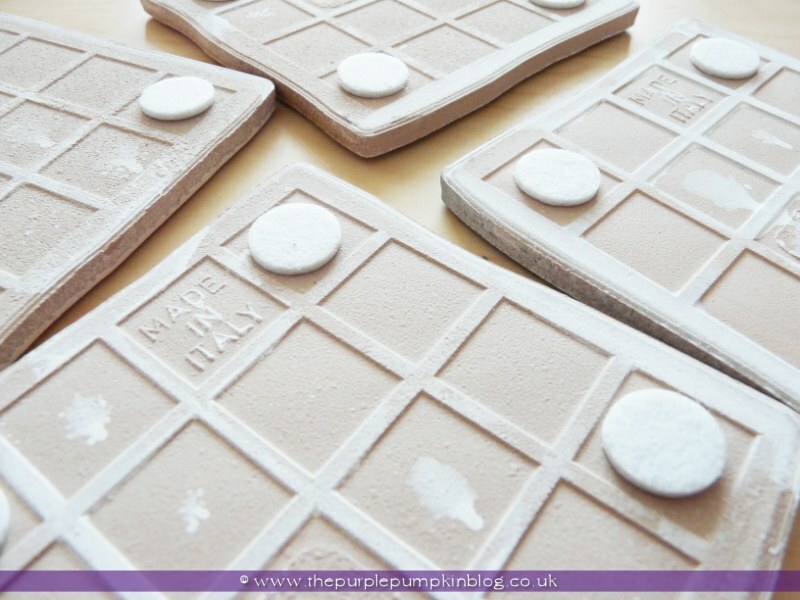 The finished effect is lovely, and your tips are very helpful!